Categories: D, Taj Brands, Used to treat acute hemorrhoid. 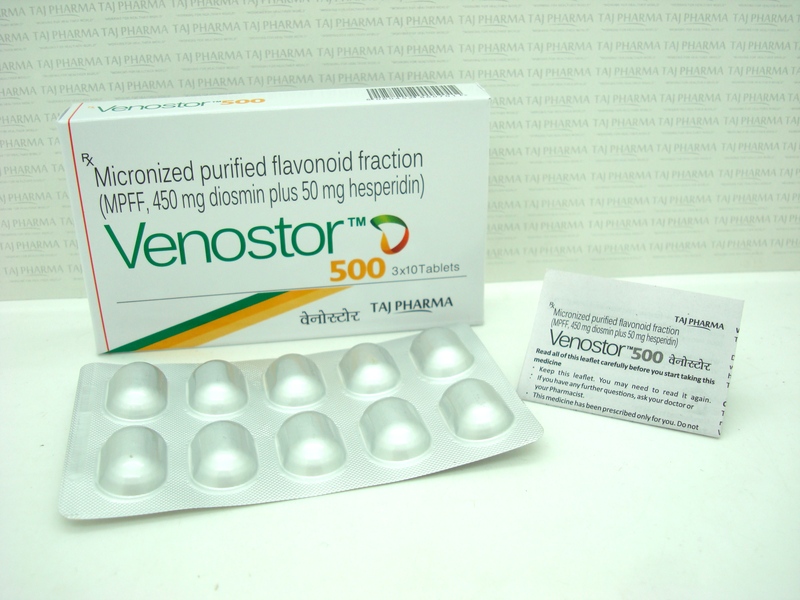 Tags: antioxidant flavonoids, D, Diosmin-Hesperidein tablets, improves vascular tone, promote healthy blood flow, strengthens vascular structures, supports lymphatic drainage of the legs, treat swelling of the arms (lymphedema), treating bleeding (hemorrhage), treating hemorrhoids, treating poor circulation in the legs (venous stasis), treating varicose veins, treating various disorders of blood vessels, Used to treat acute hemorrhoid. 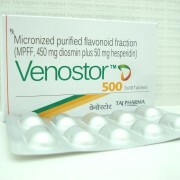 This medication is a phlebotrope: it increases the tone of veins and resistance of small blood vessels. You should contact your doctor if you do not feel better or if you feel worse after 3 months. contains important information for you. Always take this medicine exactly as information in this manual or by your doctor or pharmacist. • Talk to your pharmacist for advice or information. • If you experience any side effects, talk to your doctor or pharmacist. • This also applies to any possible side effects not listed in this leaflet. • You feel worse after 3 months. 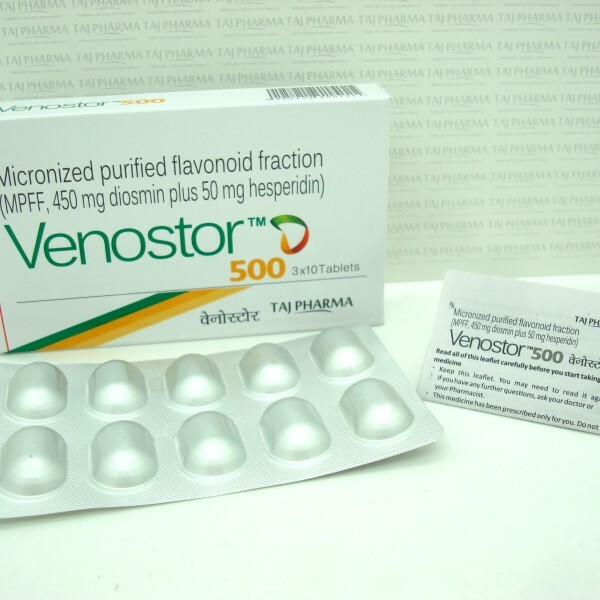 • If you are allergic to VENOSTOR™ (Diosmin+hesperidin) or any other ingredients in this drug listed in section 6. 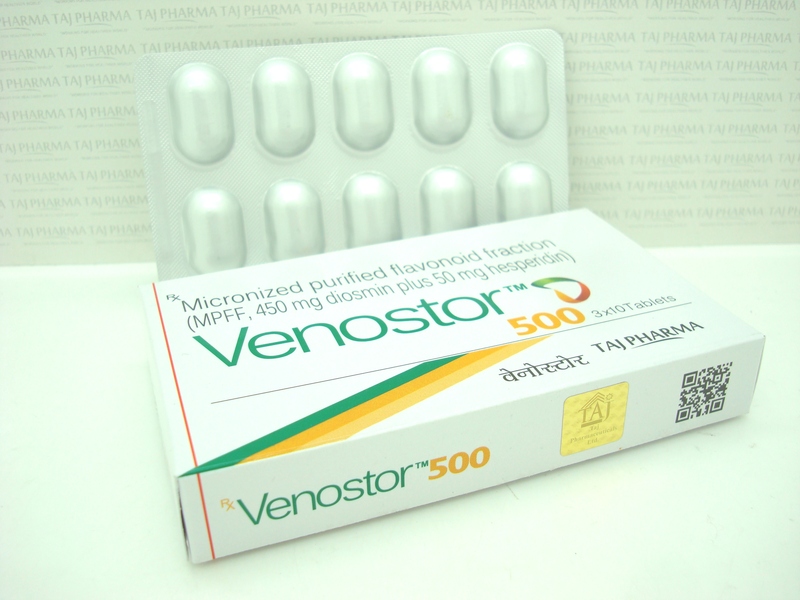 Do not take this medication for more than 3 months without consulting your doctor. 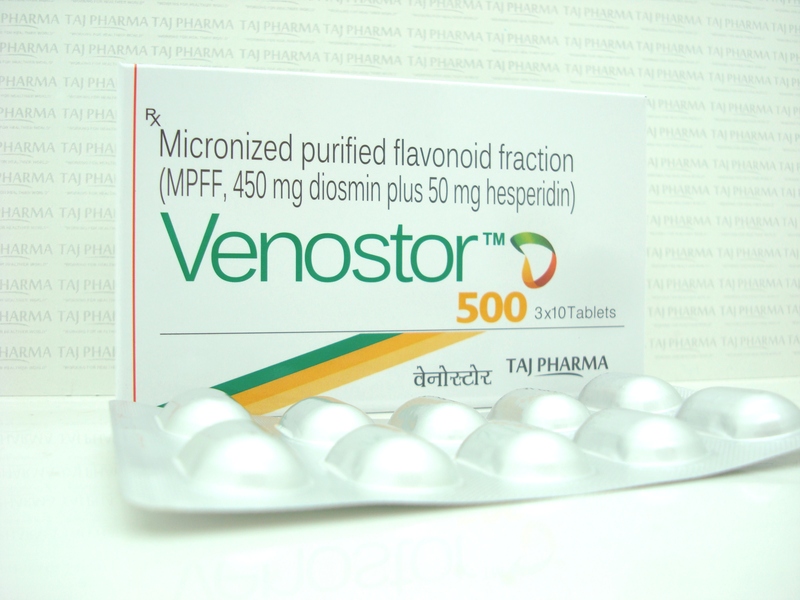 In case of crisis hemorrhoids, do not take VENOSTOR™ (Diosmin+hesperidin) tablets for a short period. Talk to your doctor if symptoms persist. Tell your doctor or pharmacist if you are taking, have recently taken or might take any other drug. • The tablets should be taken up at mealtimes. 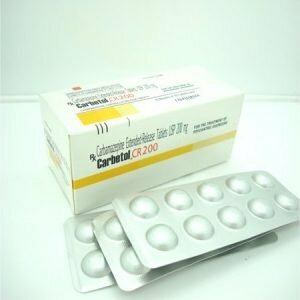 If you are pregnant or breastfeeding, if you think you are pregnant or planning to have a pregnancy, ask your doctor or pharmacist before taking this medicine. • Tell your doctor if you are pregnant or if you want to have a child. 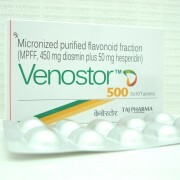 By precaution, it is recommended to use Diosmin+hesperidin in the first three months of pregnancy. Diosmin+hesperidin should be avoided during lactation. 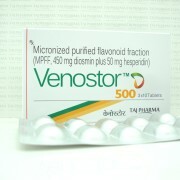 • No effects have been reported with Diosmin+hesperidin. However, caution should be exercised when driving or operating machinery because possible dizziness. 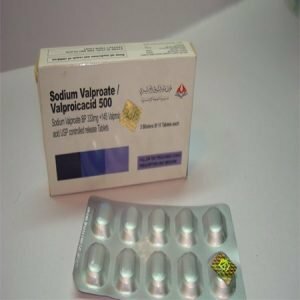 Always take this medicine exactly as described in this manual or by your doctor or pharmacist. Check with your doctor or pharmacist if doubt. If you have taken more Diosmin+hesperidin that you should If you have used or taken too Diosmin+hesperidin immediately contact your doctor pharmacist or poison control center. 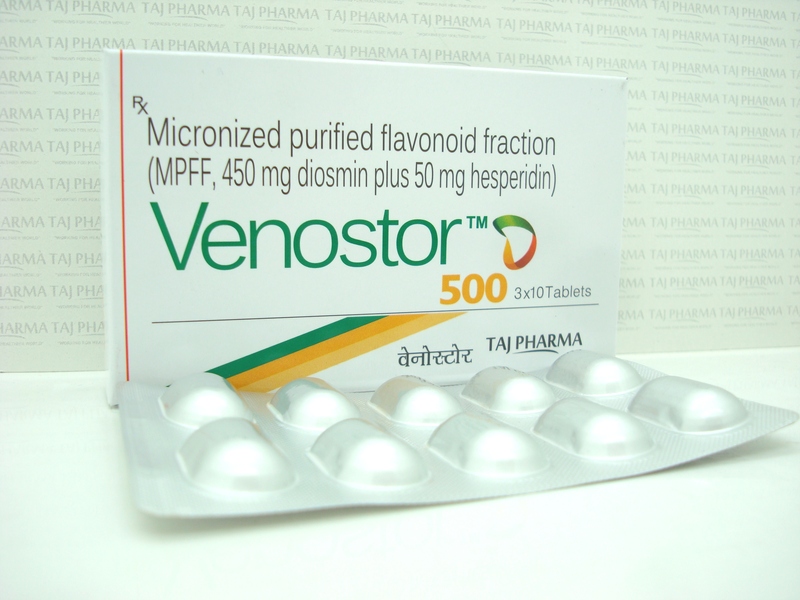 Your doctor will tell you how long you need to use VENOSTOR™ (Diosmin+hesperidin) tablets. Do not stop early treatment. Like all medicines, this medicine can cause side effects, although not occur not everybody gets them. Adverse reactions occurring at a frequency not known: edema (swelling) of the isolated face, lips, eyelids. Exceptionally: angioedema (swelling of face, lips, mouth, tongue or throat which may cause difficulty respiratory). This also applies to any possible side effects not listed in this leaflet. 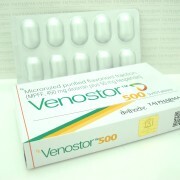 Do not use this medicine after the expiry date stated on the carton and blister after “EXP”. The expiry date refers to the last day of that month. 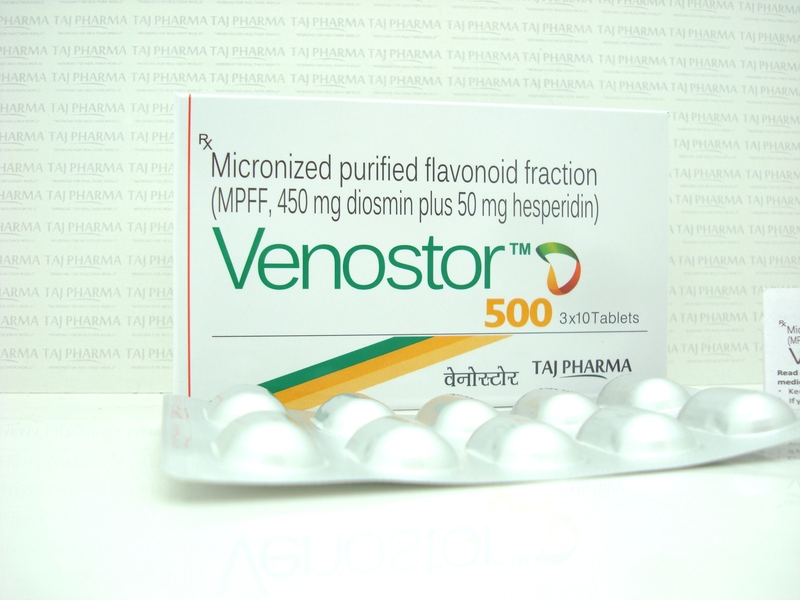 • The active substance is a flavonoid fraction purified, micronized (500 mg) comprising 450 mg of Diosmin and 50 mg of expressed as hesperidin VENOSTOR™. The other ingredients are: Sodium carboxymethyl starch, microcrystalline cellulose, gelatin, magnesium stearate, talc; titanium dioxide (E 171), glycerol, hypromellose, sodium lauryl sulfate, macrogol 6000, iron oxide yellow (E172), red iron oxide (E 172). The tablets are film-coated, oval and salmon color.